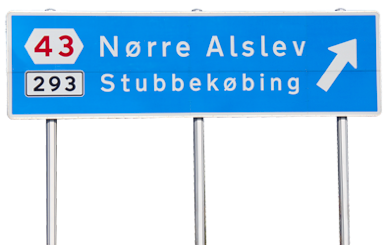 Transport-center Cargo Syd A/S at Nørre Alslev on the northern part of Falster is a modern transport centre which gives drivers and companies using the many offers of Transport-center Cargo Syd access to the best of facilities. 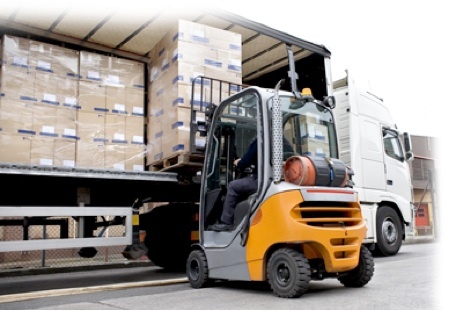 We are situated at motorway E47, exit 43 – close to harbour facilities and international railway connections – in an area charactarized by international companies. Transport-center Cargo Syd A/S is situated ideally in the corridor connecting Scandinavia to the rest of the European continent. 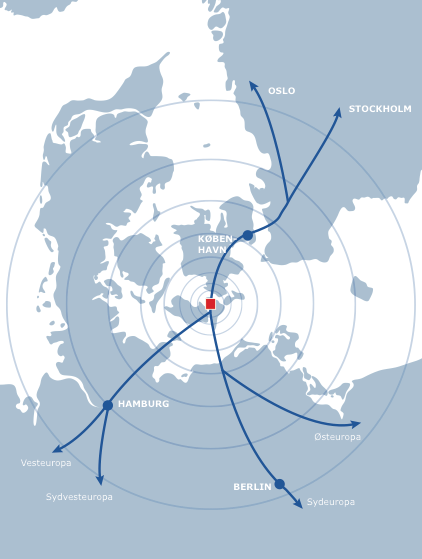 Cargo Syd A/S is situated in the logistic centre between Berlin/Hamburg and Copenhagen/Malmø – just where the corridors from east and west meet.